Finally I have used up the big pumpkin ^_^. I made this pumpkin loaf two days ago. I still used my preferred recipe which using cold milk, no egg and less butter. I also added some walnut in this bread. 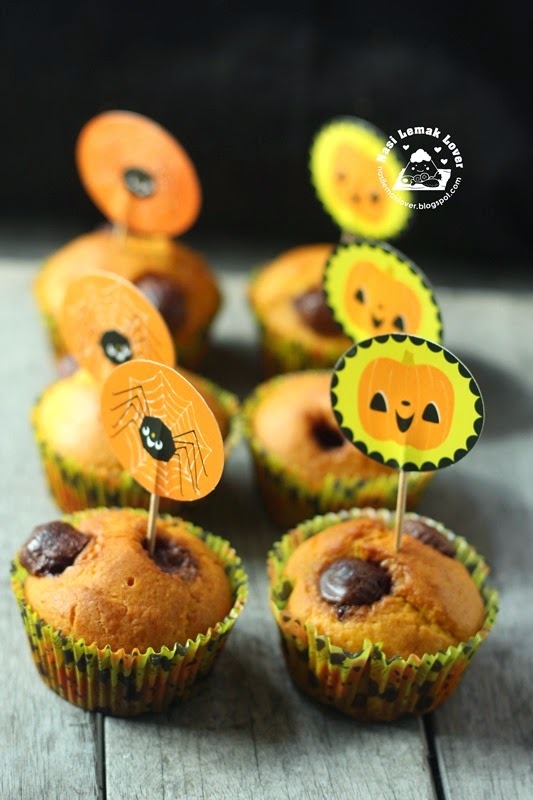 I got this set of cute Halloween featured of cupcake liners from a blogger friend the other day, so just perfect to use it to bake some fun pumpkin muffins. My son asked me when can I finished making something using pumpkin? then I told him by end of this month because of LTU event , LOL..Anyway, this brownie even added pumpkin, but no one at home could detected the pumpkin taste ^_^. 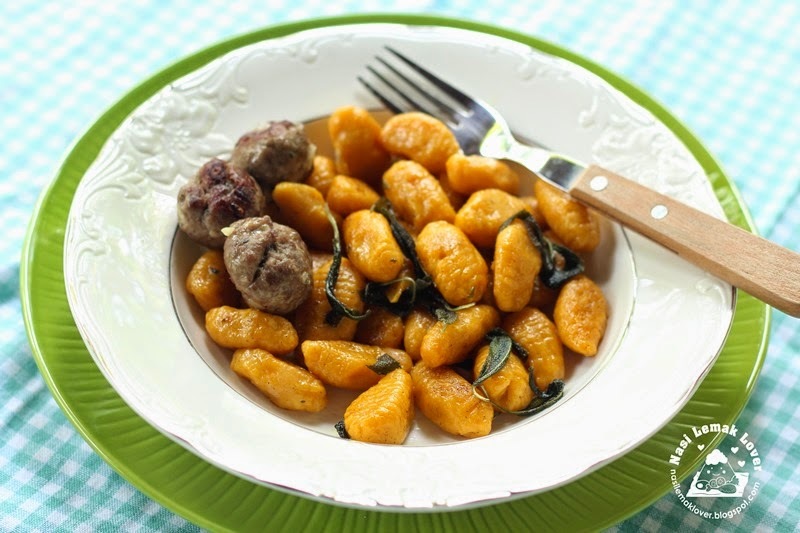 When I was figuring out what to cook for lunch yesterday, seeing the balance pumpkin sitting in the fridge, suddenly think of making gnocchi using pumpkin instead of the usual potato. The first time I had Churros (Spanish doughnut) was in Gold Coast Australia, and I also made it at home but it was four years ago. 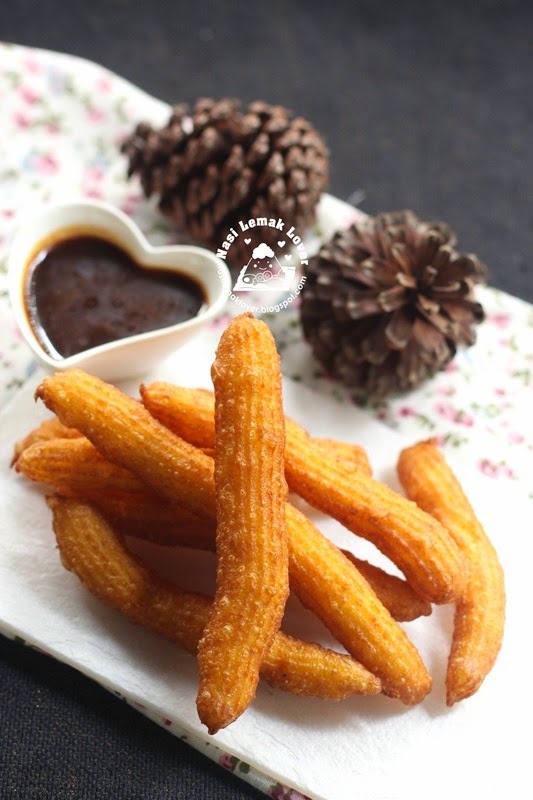 Recently my kids told me that they have so long didn't have churros. So this time I made into pumpkin flavour since I still have a big piece of pumpkin in the fridge. My friend Jane so nice sent me some gula Melaka (palm sugar), my first thought was to make some ondeh-ondeh. 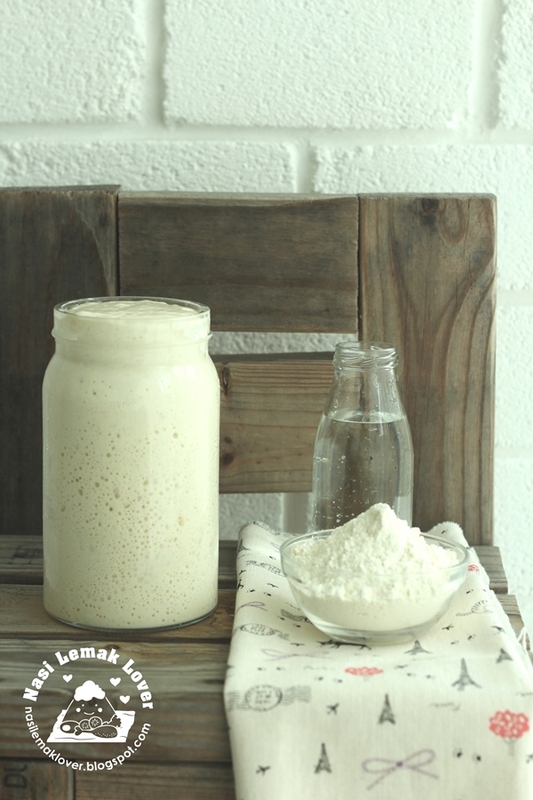 Since this month LTU event is all about pumpkin, so I use pumpkin to make the dough and fill up with palm sugar. Yesterday after we have dinner at Bangsar, then we went to nearby Jasons food hall to get this Chorizo which is a new ingredient for me. 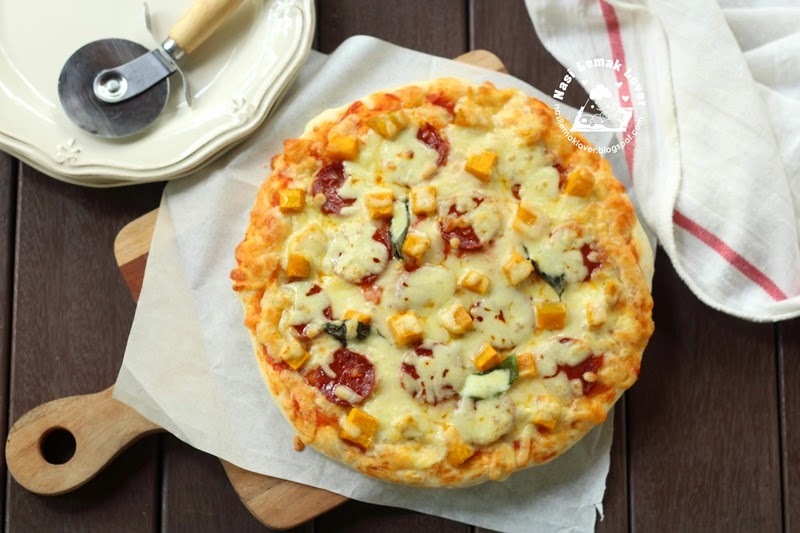 Today i used this chorizo and add pumpkin to make into pizza. I got this new inspiration after watched the Australian masterchef TV program. 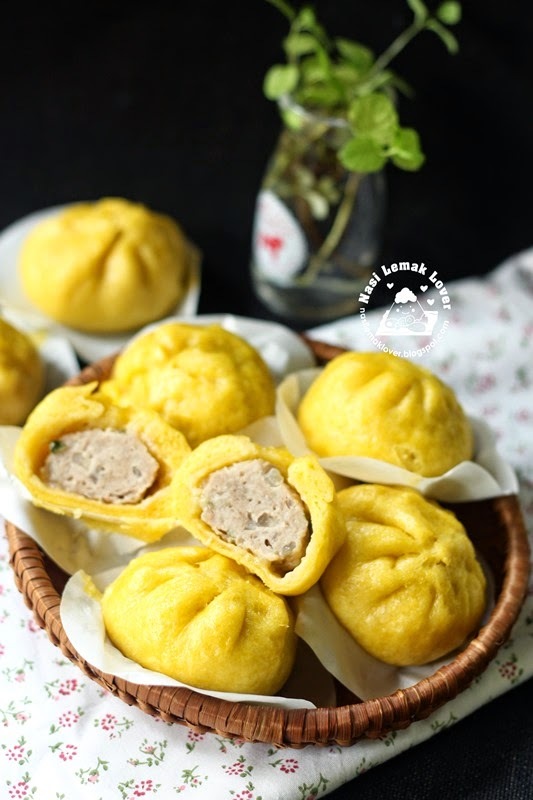 At first I was planning to make normal mantou or steamed buns with pumpkin. 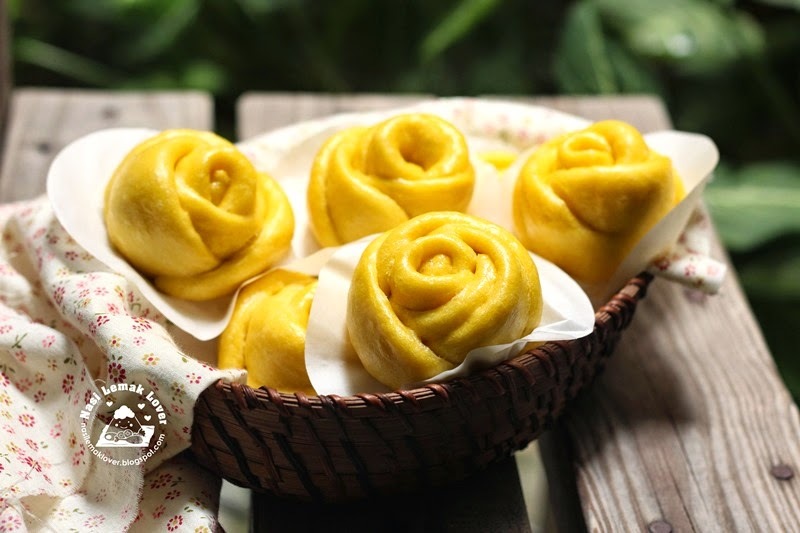 While the dough was resting, suddenly I think of the rose shape of buns that I have been wanting to try out. This dough is easy to handle and I am glad that these rose buns turned out so good that it gone finished at the same day ^_^. 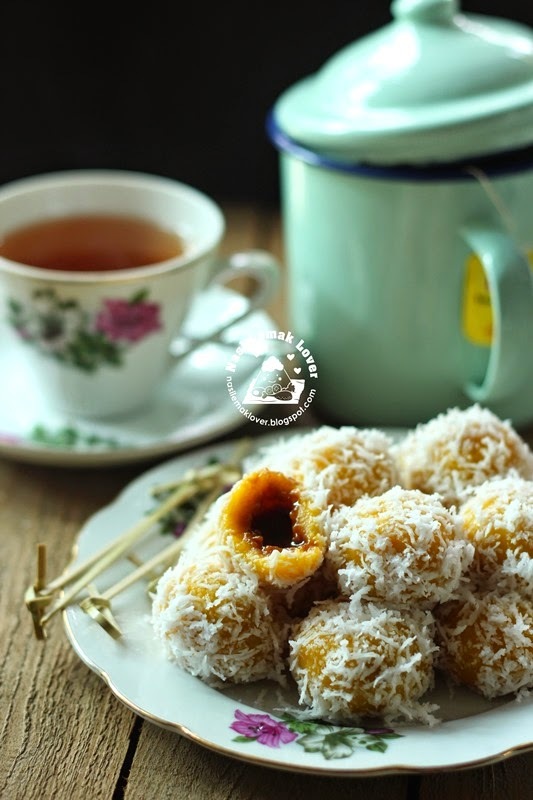 When I first tasted this pumpkin kuih, it reminds me of the corn talam or kuih that I used to eat when I was young. 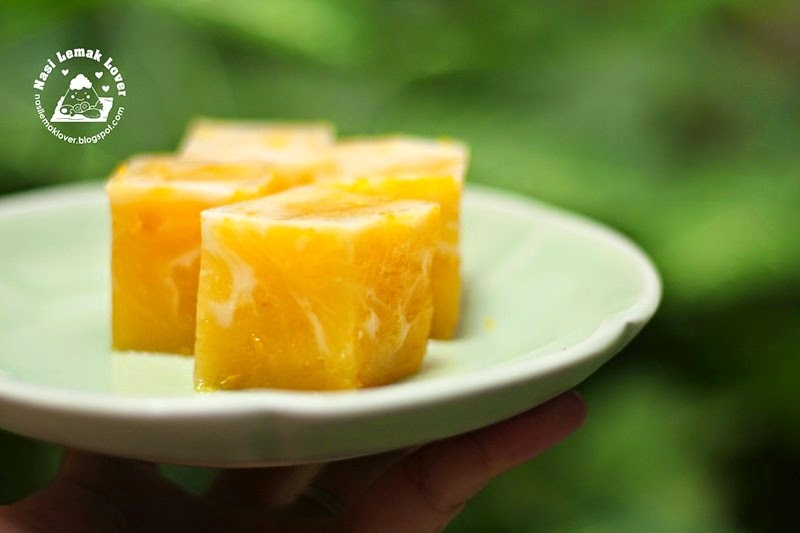 This talam or kuih is best to serve while cold, very refreshing indeed! 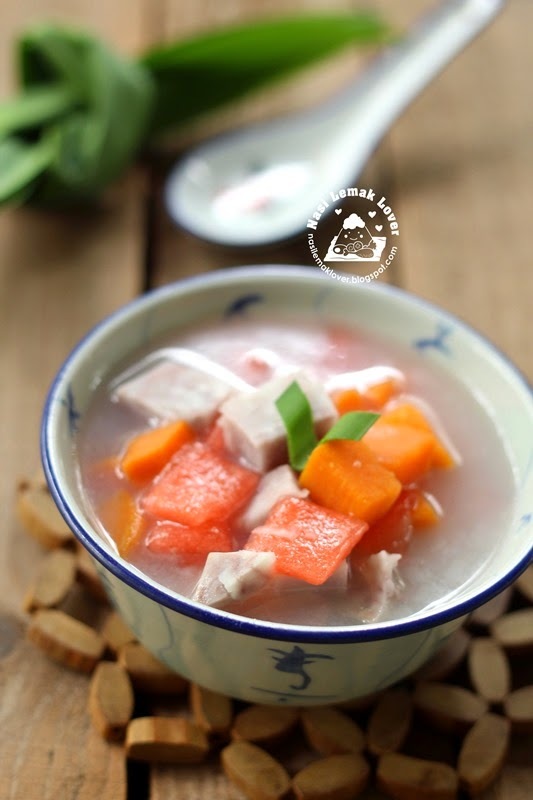 Just like to record this local dessert Bubur Cha Cha in my blog here. 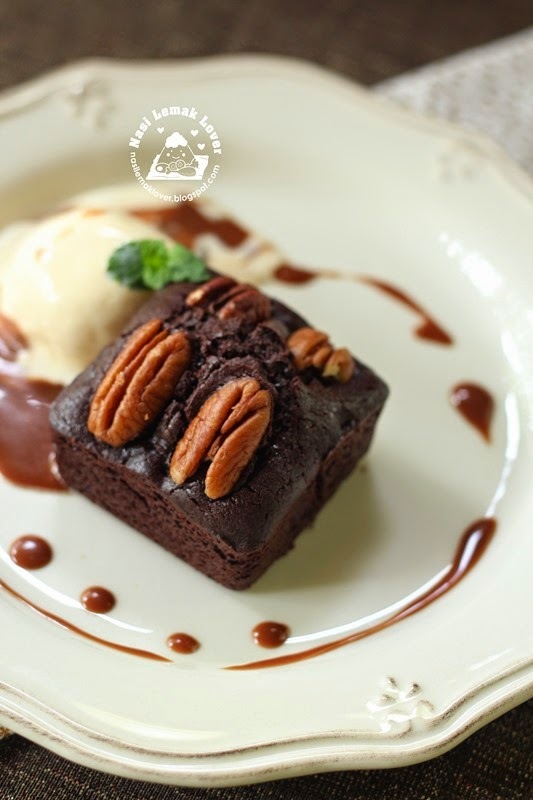 A easy and yummy dessert that my mom used to prepare for us when we were young. 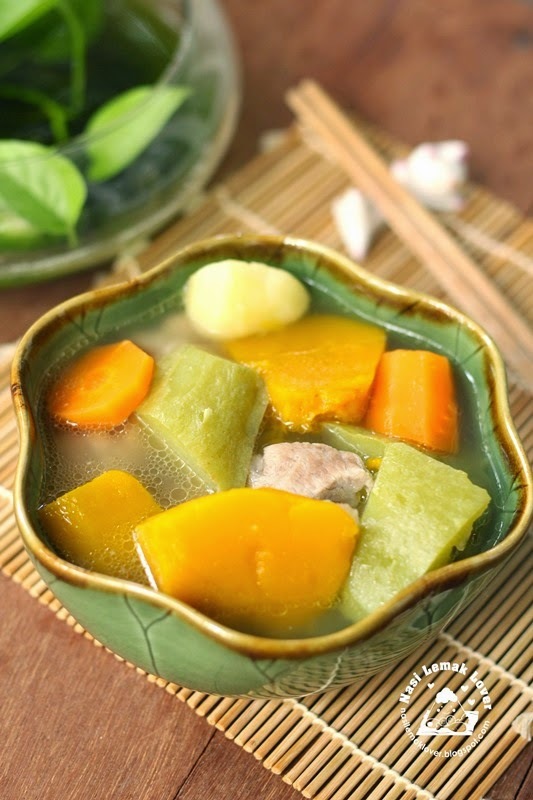 This soup is so natural sweet, can't really taste pumpkin, Chinese says 好清甜 !! Pumpkin is in season now, why not buy some to try this soup out. Hope you will like it ^_^. 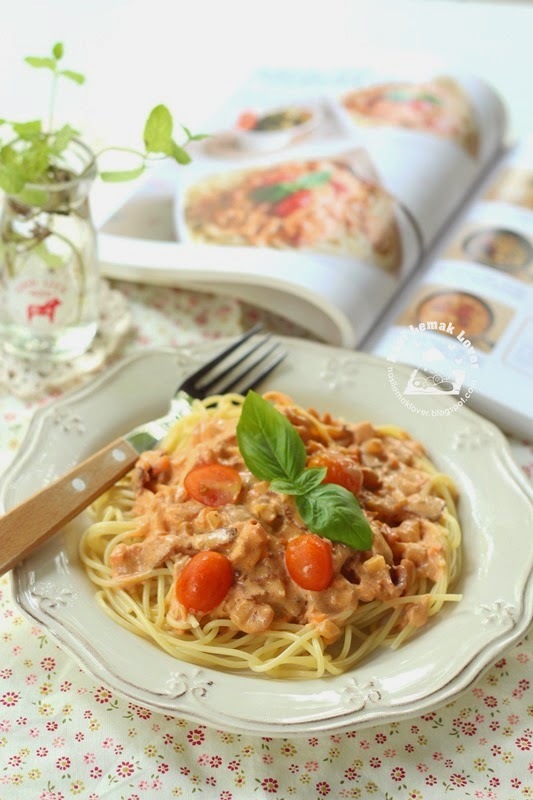 Usually I will prepare simple pasta or Chinese noodles for lunch, thus from time to time, I must try out new recipes before my children complaint that I keep repeating the same things. The other day, I tried out this new pasta recipe, and we all love it. Rose sauce is made with tomato, mayonnaise, lemon juices and etc. For this recipe, the sauce is cooked with cream and milk. 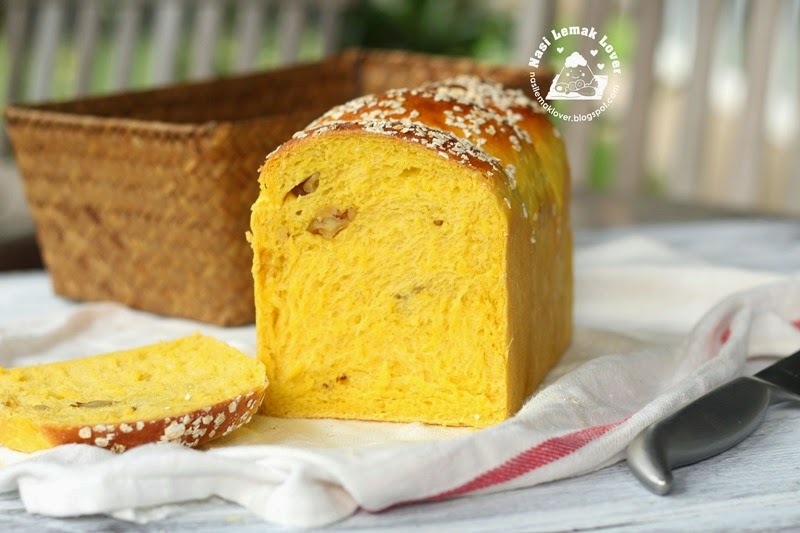 Since this month LTU event is Pumpkin, let me continue sharing dishes with pumpkin. This dish was inspired from a food TV show. This month is good time to enjoy fresh and cheap pumpkin. At first I was thinking to make these bao into pan fry type. Anyway, last minutes changed to steamed type, as I am lazy to clean the mess after pan fried.